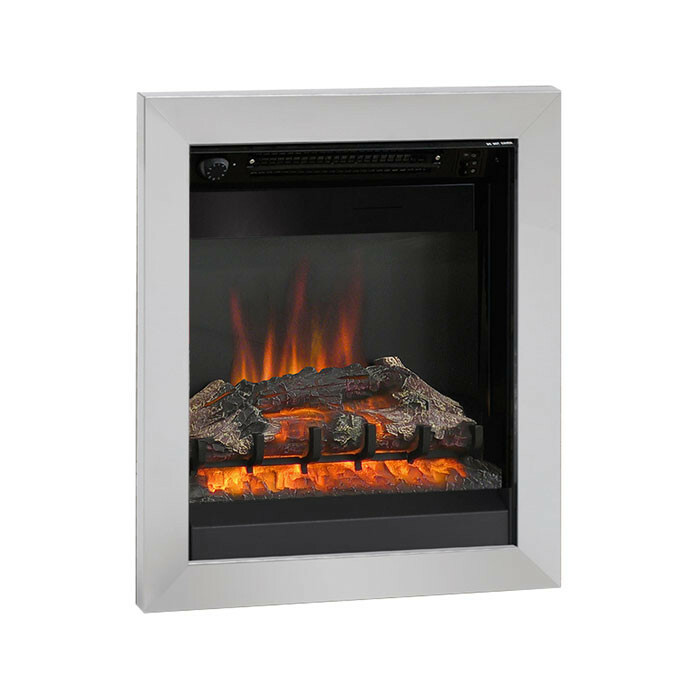 Designed for modern interiors the Be Modern Casita 18" inset electric fire has a contemporary 4 sided trim with a realistic log fuel bed. The easy to operate top control allows both heat and flame settings to be altered from a convenient location whilst the LED fire emulates the shimmering, smouldering effect of a natural flame. 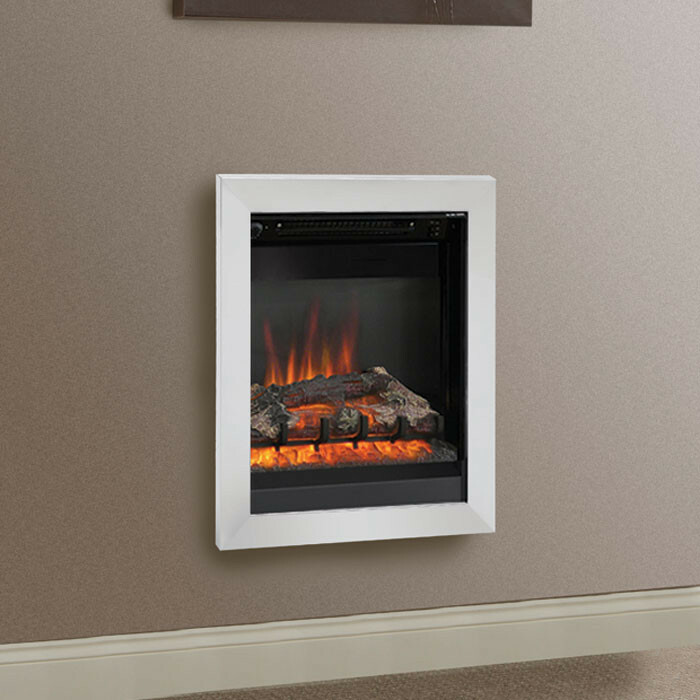 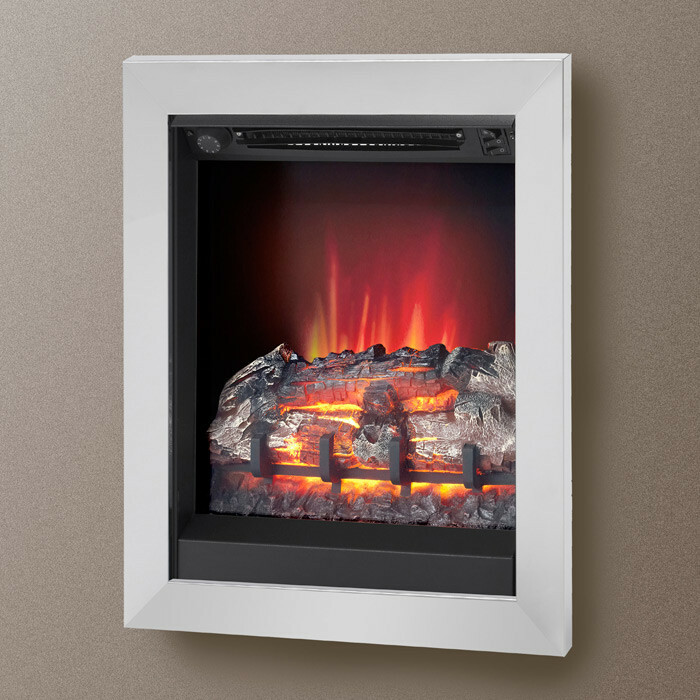 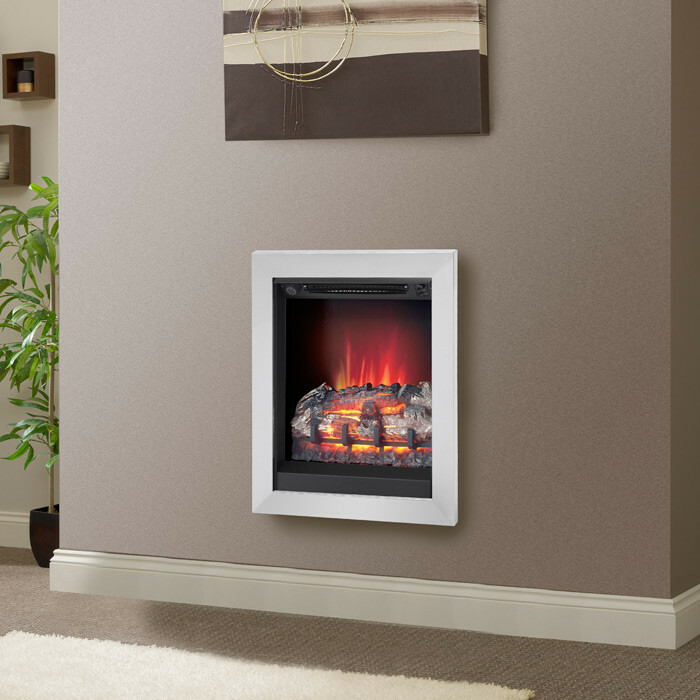 The Casita 18" electric wall mounted fire has a running cost of less the £3 per year on the flame effect only setting. 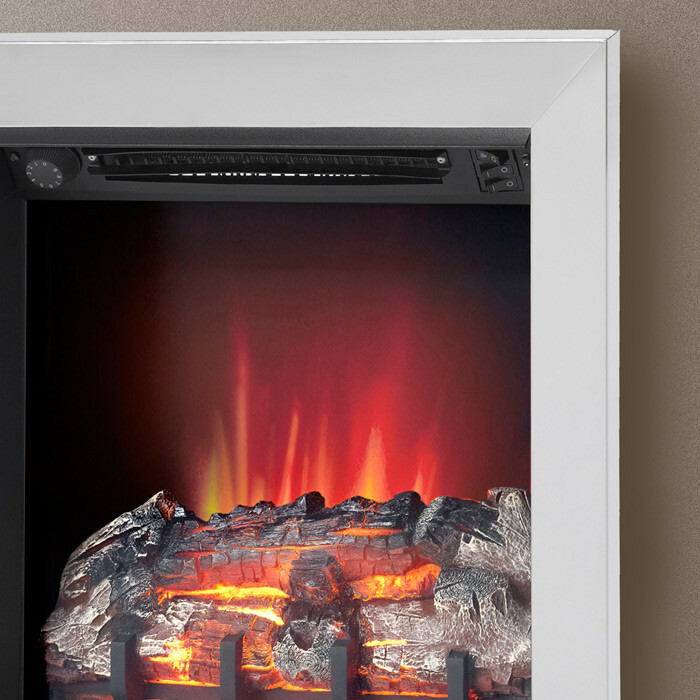 The LED bulbs have a expected life in excess of 30 years and the flame picture provides a flicker free realistic glow.